Home » Blog » Why choose a locally based walking guide in the French Alps? 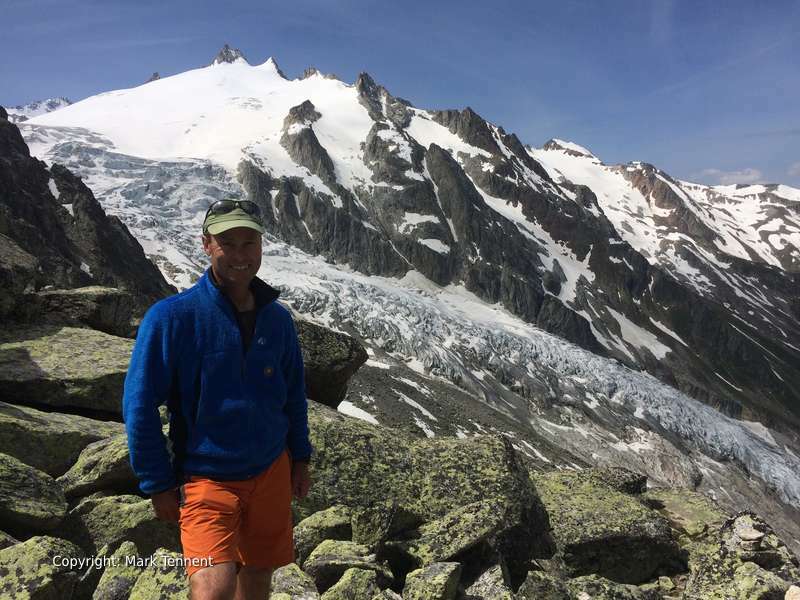 Why choosing a locally based walking guide in the French Alps is your best option. Before you book your next guided walking holiday in the French Alps you may wish to consider the following questions. Will your walking guide really have “Local Knowledge”? Many walking holiday companies based outside France talk about the experience of their guides and talk of them as being “local experts”. Really? The vast majority are certainly not “local” and, arguably, far from “experts”. Can a walking guide who is “parachuted in” for a few weeks have the same level of local knowledge as one who lives there all year? Simple logic would suggest, “No”. How well does your guide speak French? Communication is key. When you get off the beaten track English isn’t always spoken or understood. What happens if you have an accident or an emergency? Can your walking guide communicate clearly with the rescue services, a doctor, or at a hospital? You may want help to understand a menu in a restaurant to guide you in your choice; especially important should you have a food allergy or special diet. If you are staying in smaller hotels or mountain refuges can your guide act as your interpreter to make your stay an enjoyable one? Can they help you to break the language barrier between you and others? Can they talk with other walkers on the trail and bring you into the conversation or exchanging information on conditions with other walking guides? This can be a major safety factor. Informing yourself of the culture, politics and the economy of the area that you will be staying in or walking through. What depth of knowledge does your walking guide have? Anticipating and respecting the local culture and the expectations and assumptions that go with it. A locally based walking guide living, year-round in France can help you avoid making social faux pas, and enhance your experience. Supporting the integrity of the local culture by [sic] choosing to support locally based walking guides or companies. By choosing a French based and French speaking walking guide you truly contribute to the local economy. What knowledge do they have of the wildlife and wild flowers? Seeing wildlife and wild flowers is an important part of a walking or trekking holiday in the Alps. I can help you to spot ibex (bouquetin), chamois, bearded vultures not to mention the ubiquitous marmotte! Some are common and easy to spot, others can be more elusive. By knowing their favourite hang outs I can increase your chance of seeing them. Let me guide you in discovering the kaleidoscope of wild alpine flowers that never fails to inspire me; especially genepy! Can they help you discover French food, wine and other local produce? France is world renowned for its gastronomy, great wine and fresh, local produce. It forms an essential part of any walking or trekking holiday in the Alps. A locally based walking guide can help you fully discover local specialities and not just the run-of-the-mill items on every menu. I can take you to alpine farms where cheese making still happens “sur place” (on site). Here you can watch this timeless tradition taking place. Huge copper cauldrons brimming with milk direct from the cows, their bells tinkling in the alpine pastures. You can taste the cheeses maturing in the farms cellar and may be buy some to take home with you. You may know your French wines, Bordeaux, Cote de Rhones, Chablis, etc. However let me introduce you to the local Savoie wines. Savoie wines are comparatively little known due to the very small quantities produced and sometimes they are produce from grape varieties rarely grown elsewhere in France. Is the walking guide legally allowed to work in France? Is your potential walking guide legal to work in France? Does your guided walking holiday company only employ walking or hiking guides legally able to work in France? If not you run the risk that your guide is arrested and your holiday ruined. Find out more. I’ve lived near Albertville, Savoie, in the French Alps since 2005. My home is in a small rural hamlet on the mountainside that forms part of the Chaine de la Lauziere between Albertville and the Col de la Madeleine. I speak fluent French, albeit with a British accent, except when I’m working I rarely speak English. I’m currently applying for French citizenship. All my neighbours are French. As I said to them, “I didn’t move here to be part of an English speaking “ghetto” like Chamonix or Meribel”. I now feel “I belong” and several years ago I was touched by being introduced by my closest neighbour, a retired farmer, a Savoyard “de souche” (born and bred) as a Villaret (someone from Le Villard). It was a milestone in being accepted into a tightly knit community where the local patois is still spoken. Let me share my local knowledge with you. It’s an accumulation of my day-to-day life experience in France. So please allow me to bring your holiday “alive”!